Even the most experienced soap maker experiences the occasional bad batch of soap. Thankfully, with soap makers’ cooperation, Essential Depot’s Food Grade Sodium Hydroxide has never been identified as the cause for a bad batch of soap. Click Here to see a handy one page soap making troubleshooting guide we put together for with the help of our soap makers; please distribute to your friends. If Essential Depot is not able to identify why a customer has a bad batch of soap and the customer still thinks that the cause is Essential Depot’s Sodium Hydroxide, then Essential Depot will invite the soap maker to have the Sodium Hydroxide tested by a certified outside lab. A carrier pick up and transport will be arranged for direct delivery to Q Laboratories in Cincinnati. 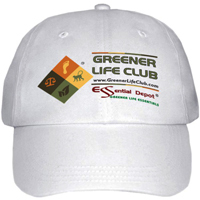 The customer can then see that the sample goes directly to the certified lab. The costs for transport and testing will be prepaid by Essential Depot. However; if as has always been the case thus far, the Sodium Hydroxide tests 96% or above in the assay test, then Essential Depot will bill the soap maker for the assay test fee ($125.00 per sample) which is charged by Q Laboratories. CLICK HERE to view the assay test results from 3 different 2lb bottles of Sodium Hydroxide which have been in the customer’s possession for approximately 18 months. Contents of each bottle was tested by Q laboratories having been sent directly to Q Laboratories from customer by Essential Depot’s arrangement with a carrier. That customer was experiencing bad batches of soap (soap was soft and was not setting after months of curing) and was believing Essential Depot’s Sodium Hydroxide to be the cause. As you can see, Essential Depot’s Sodium Hydroxide was not the cause despite the fact that it was over 18 months old. The Sodium Hydroxide continued to test above the 96% minimum specification, even after 18 months in Essential Depot’s high quality HDPE container with the child proof sealed lid. With much input from our most experienced soap makers, Essential Depot has been able to identify the many possible causes of the rare bad batch of soap. 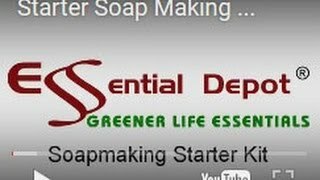 The purpose of this web page is to explain the many factors which can contribute to inconsistencies between batches of soap. Below is a list of the most common reasons for bad batches which Essential Depot, together with its customers, have identified thus far. Does it matter what size Sodium Hydroxide particle I use? Yes, it does matter in soap making. As Sodium Hydroxide is hygroscopic, it absorbs the water until the outside of particle breaks apart at which time the Sodium Hydroxide then dissolves into the water. 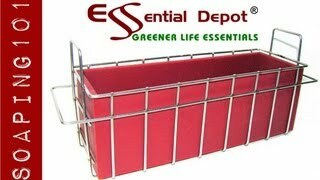 Essential Depot`s Sodium Hydroxide is comprised of “evenly-sized micro beads”. It is the only Sodium Hydroxide in the country manufactured in that manner. This means that each particle absorbs the water at the same rate and, therefore, breaks down at the same time to dissolve in the water. Such even dilution of the Sodium Hydroxide in the water allows for even distribution of the Sodium Hydroxide in the oil for saponification. It also allows for even distribution of colorants and scents. Other companies will offer Sodium Hydroxide in other forms such as flake, pellet, etc… Since you cannot control the absorption rate of the Sodium Hydroxide, you have no way to know if or when each and every flake/pellet/etc. has absorbed enough water to break apart and dissolve in the water. 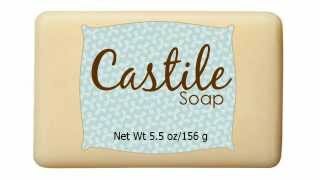 Your final loaf of soap will probably be soft (not set) or set in some areas but not in other areas. Does it matter if I use food grade lye. Yes, it does matter in soap making; and clearly for use in food making. Essential Depot`s Food Grade Sodium Lye has a much lower parts per million of the heavy metal impurities that can cause cloudiness in your soaps. Beware of drain cleaners they are typically technical grade lye. Strength of Sodium Hydroxide. Essential Depot`s Sodium Hydroxide is manufactured in the U.S.A. by a very large reputable chemical company. 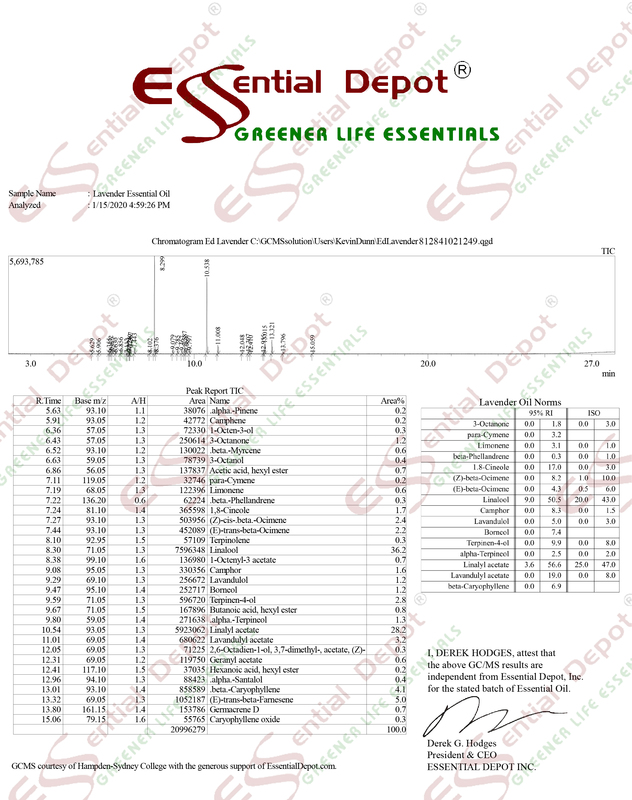 Each batch of Sodium Hydroxide has been tested and each batch has a minimum NaOH strength of 96% but is typically 2% to 3% higher (see the Certificate Of Analysis at http://www.EssentialDepot.com/MSDS). Therefore, as a result, there can be a variation in Sodium Hydroxide strength from batch to batch. Hence, the reason it is so very important to make a small batch using Sodium Hydroxide from each different batch number prior to any large batch making. You should then adjust your recipe accordingly. If you fail to do so, then your end result could be soap that does not set or soap that is too alkaline. Sodium Hydroxide from China or Mexico provided by other suppliers/vendors can vary by greater percentages. Essential Depot`s lye calculator can be found at http://www.lyedepot.com/calculator/calculator.html. Essential Depot`s lye calculator has been specifically programmed with the strength of Essential Depot`s Food Grade Sodium Hydroxide (Lye) in mind. Water — Distilled vs Purified vs Filtered vs Tap? Since Sodium Hydroxide chemically reacts with anything animal, vegetable, and mineral, it is extremely important to use only distilled water. Please do your research as some distilled waters are not truly distilled water and will, therefore, contain impurities. Filtered Water, Purified Water, and Tap Water (the water from your faucet) each have impurities. There is no way around it! The water will absolutely have impurities such as Fluoride, Carbonates, Chlorine, Lime, Calcium, Sulfur, Phosphorous, etc… When there are impurities in your water, then your Sodium Hydroxide will chemically react with those impurities. That reaction creates the appearance of “cloudy lye water”. It may even create a “film” and/or “black specks”. This is because the Sodium Hydroxide has “saponified” (chemically reacted) with those impurities just as the Sodium Hydroxide reacts with the fats/oils. The end result may be black specks in your soap or soap that does not set. Sodium Hydroxide from China or Mexico provided by other suppliers/vendors can vary by greater percentages. What is that film on my lye water? That film is perfectly normal. It is merely the Sodium Carbonate (Na2CO3) which is already in the Sodium Hydroxide (a maximum of 1.6%), as can be seen in the Certificate of Analysis at http://www.EssentialDepot.com/MSDS. Secondarily, the Sodium Carbonate is a by-product of chemical reactions between your lye water and the oxygen in the air. Contaminants — Container and/or Utensil residue. Washing a container with detergent may leave a residue. Not rinsing and cleaning sufficiently between batches may leave an invisible film of contaminants. That residue is then “saponified” by the Sodium Hydroxide. The end result may be black specks in your soap or soap that does not set. In the Essential Depot Testing Stations, the lye water containers and utensils are merely rinsed well with cold running water. Container. The age, condition, and quality of your mixing container does matter. 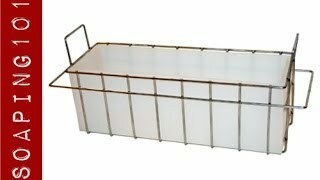 You should use only HDPE or Stainless Steel. Glass is not recommended because after many uses, you will notice the finish on the inside is etched by the Sodium Hydroxide, and appears to be scratched or hazy/cloudy. After a lot of use this can be dangerous as the glass can shatter. A rhetorical question: what do you think has happened with that finish on the container and the chemical components that made up that finish? Absolutely correct. The Sodium Hydroxide actually altered damaged the container). Where did it go? Into your lye water causing the cloudiness and/or film which can result in “black specks” in your soap. In the Essential Depot Testing Stations, the lye water containers and utensils are used only a few times and then disposed of. 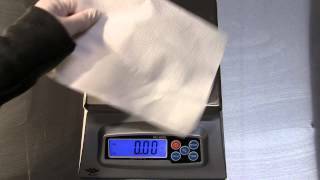 Weighing your Sodium Hydroxide. It is extremely important that you make sure that your scale is calibrated and functioning properly. If your scale is not, then you will have fluctuations in the amount of Sodium Hydroxide that you use. When your scale is not calibrated, you think that you have measured “X” quantity of Sodium Hydroxide for your recipe when in fact you have not, the quantity is something different. Likewise, when your scale is not functioning properly. In the Essential Depot Testing Station, a 1 pound stainless steel weight is maintained. That 1 pound weight is used at the inception of each session to assure that the scale is calibrated and functioning properly. Correct procedure for mixing lye water. You must always add the Sodium Hydroxide to water, and not vice-versa. As well, you must always add the Sodium Hydroxide SLOWLY to the water while constantly mixing. Sodium Hydroxide is hygroscopic. However, its hygroscopic properties can only react at a certain rate. So, if you just pour all of your Sodium Hydroxide at one time and then stir, the hygroscopic properties of the Sodium Hydroxide are impeded and sometimes stunted. Generally you will see this resulting in lye water that has “crystals”. Those crystals are Sodium Hydroxide which has bonded together (sometimes enclosing moisture, sometimes enclosing air, etc…) and in which all of the Sodium Hydroxide has not been afforded the opportunity to absorb the water. When you then use that crystalline lye water in your soap making it continues those pockets which appear to you in the end result loaf of soap as “sand pebbles” or “lumps”. Typically, your pH testing will reveal this result as the “sand pebbles” or “lumps” will test very alkaline while other parts of the soap will test at normal, but could be soft and never harden. This can also appear as “ashes” inside or outside your soap. Sometimes you can break down the “crystals” in the lye water by adding some additional water and stirring routinely over a long period of time but this is not always successful. Climate — Temperature and Humidity. Climate does matter: temperature, humidity, etc… And for this reason you should not measure your Sodium Hydroxide until you are ready to mix it with your water/liquid. If the Sodium Hydroxide sits exposed to the air, then it absorbs the moisture from the air diluting the Sodium Hydroxide. 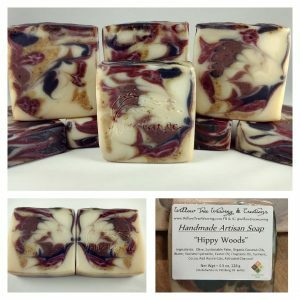 Varying climate temperatures, varying humidity, etc… effects ingredients in the soap making process as well as the methods in the process itself. You may have a mixing time of 5 minutes in the tropics but that mixing time would be different if you were in Alaska trying to use the same recipe. Humidity acutely effects the Sodium Hydroxide. Since Sodium Hydroxide is hygroscopic it will absorb and retain all of the moisture from the air. The result is a reduced saponification factor for that quantity of Sodium Hydroxide. You end result will then be soap that does not set. Exposure to air. Since Sodium Hydroxide is hygroscopic, it absorbs moisture. This includes the moisture in the air. For this reason you should not measure your Sodium Hydroxide until you are ready to mix it with your water/liquid. If the Sodium Hydroxide sits exposed to the air, then it absorbs the moisture from the air diluting the Sodium Hydroxide. So, it only makes sense, that if you live in a very humid area then your Sodium Hydroxide will be diluted more than if you live not so humid area. Temperature. Temperature also matters: temperature of your lye water, temperature of your fats/oils, temperature at pouring, etc… Soap texture problems may be due to temperature issues during the soap making process. If your lye water is less than 100 degrees F, the Sodium Hydroxide then has a tendency to form ash deep in the soap. As well, that soap may sweat and take longer to set under more humid conditions or even not set up at all.